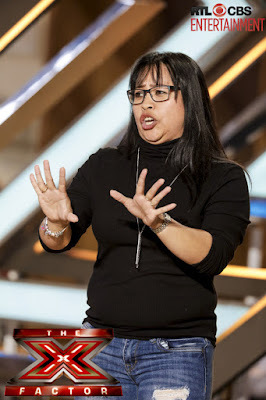 Gaga Lord, 40, from the Philippines, impressed all four judges of The X Factor UK with her rendition of the James Bond theme Diamonds Are Forever sung by Shirley Bassey on the second episode of the show today. Gaga started her performance showcasing her full and brassy voice that immediately brought smiles to the judges’ faces. Simon raised his hand and stopped the audition quipping, “Right now, I feel like James Bond.” He then asked Nicole Scherzinger and (sitting in for Sharon Osbourne) guest judge Alesha Dixon to dance and pose with Gaga as if they were Bond girls. Gaga Lord, her real name, is married and works as a dinner lady at a primary school. She says that the students there know that she loves to sing and they would often ask her to sing for them. She, however, did not tell them she would be auditioning for the competition. 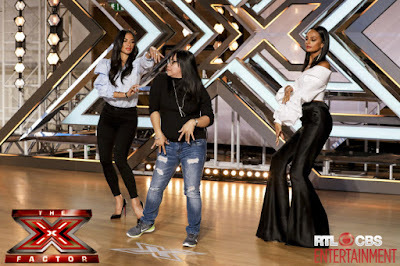 Gaga Lord moves on to the next round of The X Factor UK. There is so much real talent out there and you never know who has it. Thanks for sharing.